The Princess, The Pea, and Five Dog Beds How Many Country Flags Feature Animals? 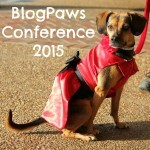 Back at the end of May, I attended a huge pet blogger conference in Nashville called BlogPaws. Luna and my boyfriend were even able to tag along too. One of my favorite things about attending a pet blogging conference is wandering around the exhibit hall and learning about some of the latest pet products to hit the market. 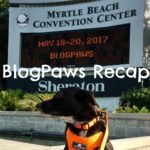 The BlogPaws exhibit hall is no Global Pet Expo, but it does allow us bloggers to have a bit more one on one interaction with brand representatives so we really get the inside scoop. 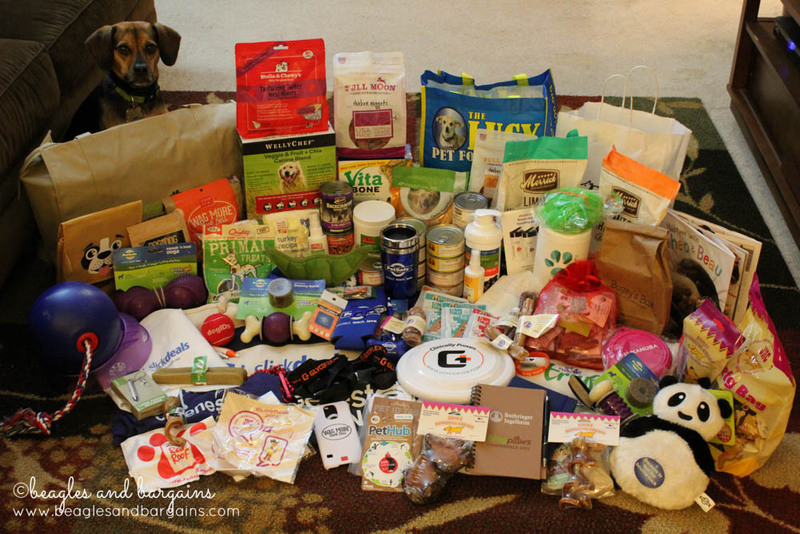 Each vendor in the exhibit hall helped sponsor BlogPaws, which made it more affordable for us to go, so they all deserve a BIG THANK YOU! Some of the sponsors hit it out of the park and came equipped with pet products Luna can’t wait to get her paws on. I have yet to meet a dog that likes the vacuum, so trying out a new one at a conference full of pets might not be the best choice. BUT, I so need one of these. I got to see this little machine work and it is incredible how quickly it gets rid of a stain. It’s never too early to start joint support especially if you have a bigger dog or a breed prone to joint issues. VetriScience is great because they offer a wide variety of options at a variety of price points including Glyco FLEX and many of them are in the form of chews, which make them easy to administer. Launched earlier this year, TruFood is a unique kibble with a triology blend of ingredients for optimal nutrition. TruFood contains whole-prey protein bites, air-dried fruit and veggie pieces, and nuggets containing superfoods like beets and blueberries. Each batch is baked in small batches! During the conference, the folks at JNC cleverly put unwrapped pigs ears on the bottom of their display. So where does my Beagle’s nose take her running? Straight to the JNC booth to munch on a yummy and natural pig ear. She probably would have eaten the whole box if no one stood in her way. 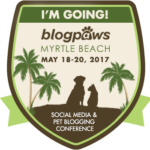 We had a small sample of the Coconut Smiles in our BlogPaws swag bag and they were quickly eaten! They made great treats during the learning sessions because I could break them into tiny pieces. Luna felt like she was getting tons of treats, but I knew the secret! 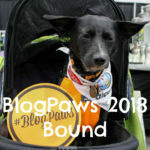 I had never heard of Vita Bones before because they aren’t yet readily available on the East Coast in the US, so I’m glad I got the chance at BlogPaws. I’m can’t wait to learn more about these vitamin packed crunchy dog bones! Luna has issues with drinking enough water, so I try to do everything I can to encourage her. Sometimes I fail to remember to fill up her water bowl and that is no good. Because PetSafe’s pet water fountains hold a lot more water than her bowl, I’ve been eyeing for quite some time. Plus, they even filter the water! Everybody loves a good cookie including our furry friends. The Cloud Star Soft Bakes are a bit of a calorie splurge, but both Luna and Cousin Keto are huge fans. Don’t get confused though because they smell really good! Did someone say chicken? Yes! Full Moon just came out with Chicken Nuggets for dogs earlier this year. Each nugget is made right here in the USA with human grade chicken. Luna has been eyeing the bag and wanting her chicken, but she’ll have to wait! Merrick Backcountry is also new this year and is a great addition to the already wonderful collection of quality kibble. Backcountry itself is a high quality kibble infused with freeze-dried raw pieces. Luna has actually tried Backcountry and gives it four paws up! Revel is The Honest Kitchen’s newest dehydrated dog food recipe. Luna actually ate Revel during our whole trip! She often gets car sick, but fortunately The Honest Kitchen’s food sits better in your stomach during travel. Thanks to Revel we had no issues! Tuggo is an awesome toy that allows dogs to play with each other, by themselves, or even with you. It’s so durable lions, tigers, and wolves play with it. Don’t believe me? Check out this video! Weruva certainly offers gourmet meals for dogs and cats in a can (or pouch). Dogs in the Kitchen is their more affordable line and it is complete with awesome product names like Funk in the Trunk and Love Me Tender. Plus, Luna and Cousin Keto are huge fans! Stay tuned for product reviews and awesome giveaways from some of these brands! Sign up for our email newsletter to be the first to know about our upcoming giveaways! 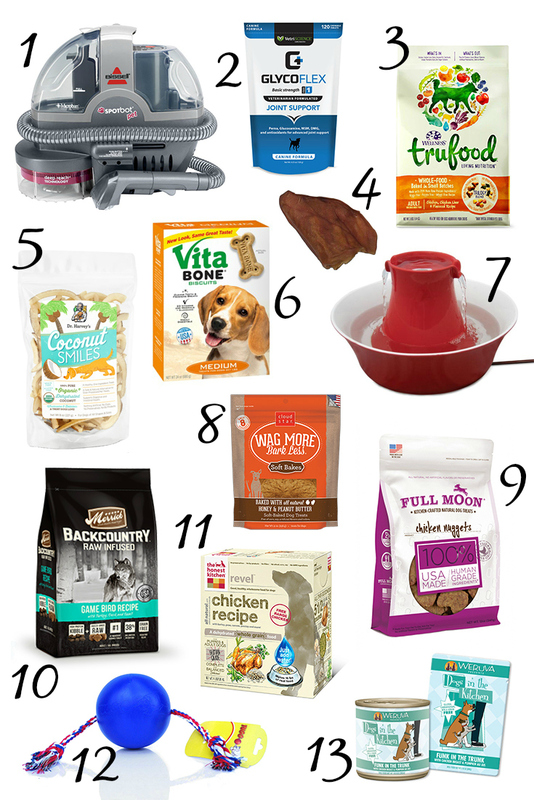 Disclaimer: Many of the companies listed provide product free to try at BlogPaws with no expectation of review. I decided to mention these products because we either use them regularly or are genuinely excited about the products. I received no other compensation or additional benefits for mentioning the products in this post. The opinions and ideas in this post are my own and are uninfluenced by any other person or business.